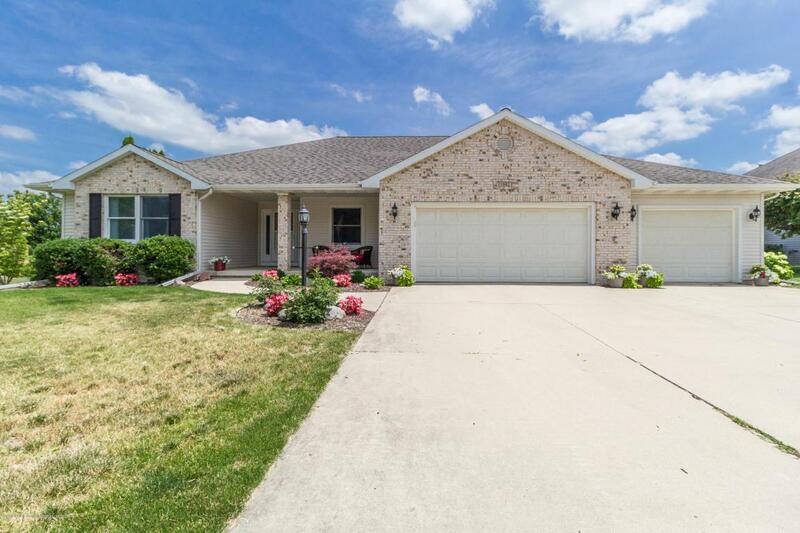 Welcome to this beautiful 4 bedroom 2.5 bath Rick Gilbert built home located in thedesirable Fieldstone Farms Subdivision. Upon entering the home your eyes will immediately be drawnupwards to the vaulted ceilings in the family room, which also has a gas fireplace and leads directly intothe dining room and kitchen area. The new flooring in the dining room and kitchen compliments theupdated kitchen cabinets and countertops. This whole home has been freshly painted and shows truehome ownership and pride with attention to detail being displayed everywhere you look. The largemaster suite bedroom has walk in closet with master bath attached, and the other 2 bedrooms on themain floor are generous size as well. Listing provided courtesy of Laura Guild of Keller Williams Realty Lansing-East.